The Midnight Misfits….this is the endearing term that has been bestowed to those of us that work the night shift. You have already heard about the routine and camaraderie of this unique group from an earlier blog written by one of our awesome MT’s (marine technician). Using many more acronyms (since scientists love developing their own phrases to remember the instruments that we use), this blog will explain the science we’re actually doing at night and why we continuously collect data, 24 hours-a-day on board the RVIB Nathaniel B. Palmer. I’ll start off with explaining the “CTD,” since it has been mentioned previous blogs. CTD (Conductivity Temperature Depth) casts (See Kelley’s blog for more deployment details) provide us with environmental data such as salinity and temperature measurements collected at multiple depths which allows us to calculate how fast sound travels in the water, among a few other things (e.g. presence of phytoplankton). Here’s a photo of a CTD cast in action. Why do we care how fast sound travels in water? Sound velocity profiles are important for our acoustic instruments, like the ADCP (Acoustic Doppler Current Profiler), an instrument that constantly measures the currents at various depths throughout the water column at all hours of the day. This gives us a three-dimensional view of how the water is moving and where/how it might be transporting any available food (mainly krill) for the Antarctic predators (i.e. baleen whales, seals, some fish and seabirds). Examining krill aggregations is another 24 hour job. Since they’re such an important part of the ecosystem in the Antarctic region, they’ve been mentioned a lot in this blog, but I’d like to give a little more background on them. Krill is the collective term used to describe several species of the shrimp-like organisms ― the main species near the Antarctic is Euphausia superba. They are a type of zooplankton… ‘zoo-‘ meaning they are animals (and they eat smaller zooplankton and phytoplankton, the plants of the sea), and ‘plankton’ meaning they are drifters and generally move with currents. 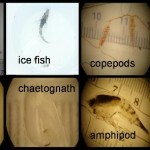 Unlike many zooplankton species (e.g. copepod), krill are fairly good swimmers. Their horizontal movement is often limited by local currents, however they can still swim well enough to aggregate in large swarms and undergo a behavior called ‘vertical migration.’ In general, krill are motivated to move for the same reason that lots of animals (myself included) are motivated to move, to find food. Krill vertically migrate towards the surface of the water at night because there are high concentrations of phytoplankton (krill buffet), and phytoplankton are at the surface because that is where there is available light, which they use to photosynthesize their food (like plants on land). Another reason for this feeding behavior is that moonlight provides limited light for krill to be seen by their predators, making it advantageous to feed at night. Not surprisingly, many of the humpback whales that we’ve observed this year (and last year) are mainly feeding on krill at night, presumably because they have to expend less energy to reach them at the surface. When the sun begins to rise the krill swim to deeper depths making it harder for their predators to feed, and the humpbacks conveniently take the opportunity to rest at the surface (“logging”) – and the tagging team conveniently takes the opportunity to approach the animals to deploy dtags and crittercams. Everyone is happy! 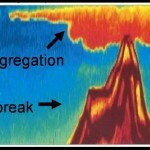 Vertical migration of krill is well documented in Antarctica and in other regions of the world. Wilhelmina Bay is no exception, however Anvord Bay might be. Interestingly, the krill mainly stayed at deep (i.e. 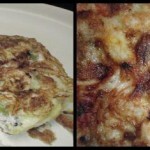 close to the seafloor) depths throughout both day and night. We’re looking forward to learning about this from the physical oceanography data and behavioral observations of humpback whales we collected in Anvord Bay. You may be wondering how we measure krill populations, exactly. Well, one technique we utilize is acoustic surveying. 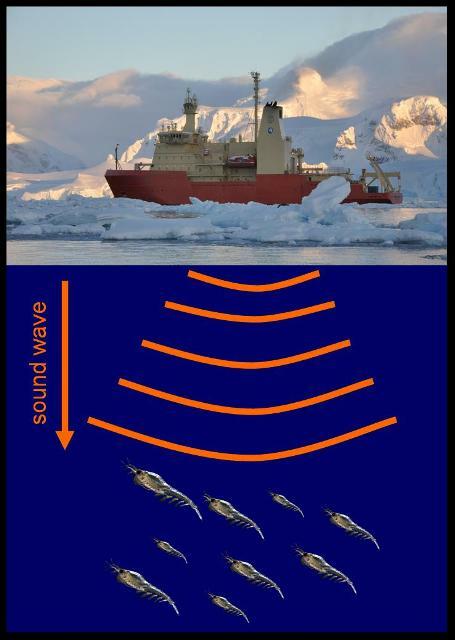 Two acoustic transducers (38 kHz and 120 kHz) are mounted on the bottom of the ship and they emit sound waves that bounce off objects in the water column. See Joe’s earlier blog for more information about how this same technology is used on the small boat that maps prey each day on a fine-scale around groups of humpback whales. To make sure that what we’re acoustically detecting is actually krill (as opposed to other zooplankton or possibly even fish), we collect samples through net tows. For this cruise, we are collecting zooplankton samples using the MOCNESS (Multiple Opening/Closing Net and Environmental Sensing System). The MOCNESS (another long acronym that is even difficult for me to remember) is a series of nine nets total. 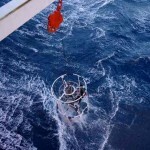 To collect zooplankton in the nets, the entire system is first lowered to the deepest desired depth. 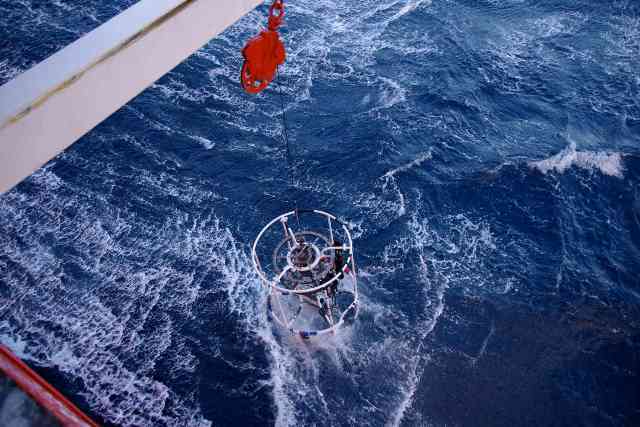 Once at depth, the first net is open to collect organisms from the bottom of the cast (usually around 400 m for this cruise). Then it is raised to another pre-determined depth and a second net is open to collect organisms, and so on, until the ninth net collects organisms at the surface of the ocean. This allows us to capture zooplankton at discrete depths so we can examine any vertical differences. 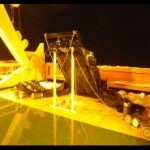 The opening/closing of each net is controlled electronically from the ship. The deployment of multiple nets and the dependency of working cables means there’s the potential for something to get twisted up or for electronic communication between the computer and the net to be lost. This has given the MOCNESS the nickname the MOC-MESS. Lucky for us we have had few problems and over the course of seven MOCNESS tows (so far) we have been able to catch lots of krill! Here is a series of pictures depicting the preparation, ready-to-go state, and deployment of the MOC-MESS. A series of pictures depicting the preparation, ready-to-go state, and deployment of the MOC-MESS. Some krill are preserved for later analysis (species composition, vertical stratification, etc. ), while others are measured for length directly after being collected. Length measurements, along with other parameters (e.g. 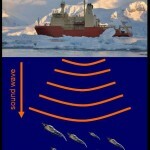 orientation), and the sound wave energy scattered by the zooplankton are input into a complicated algorithm that estimates krill biomass. In other words, our ultimate goal is to quantify (provide a number) of how many krill exist in a given volume of water. 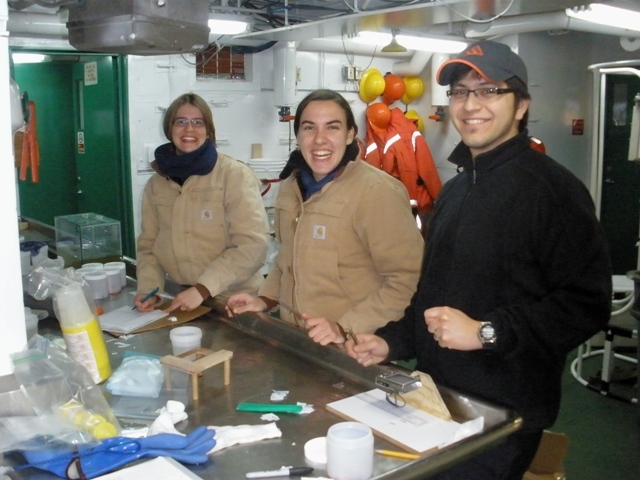 Here’s the ‘kriller team’ at work measuring krill lengths. 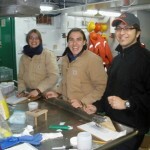 The ‘kriller team’ at work measuring krill lengths. After I spend the night as a krill biologist, I get to spend the morning on the ice tower enjoying a few hours of daylight pretending to know something about whales. Okay, I really know next to nothing about whales (except for what they eat), but I figure I’ll learn something if I hang out with the Visual Observation group long enough! P.S. I’m also looking for a job or some type of volunteer opportunity (short term or long term…maybe spend a few years abroad??). Have any ideas? Please post them. I’m open to any and all suggestions!!! (The same goes for all the graduates (Paying jobs, please), except Lindsey who will be starting a Ph.D. program in the fall).